Looking for hotels near Museum Square? Roeloft Studio is a studio located in Amsterdam, 1640 feet from Museum Square. Guests benefit from balcony. Free WiFi is featured throughout the property. 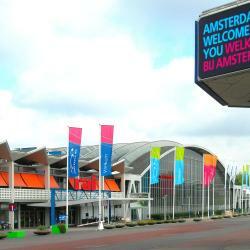 BB Museumquarter is located in Amsterdam, a 6-minute walk from Museum Square and 2625 feet from Rijksmuseum. Personal service and hospitality in the heart of Amsterdam make this cozy family hotel a great base for your vacation. Enjoy the simple, elegant guest rooms and free Wi-Fi. 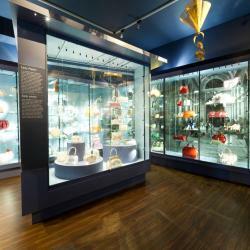 Sir Albert is located only 1969 feet from Museum Square and Rijksmuseum in Amsterdam. Leidse Square and the famous canal district are a 15-minute walk. The staff was wonderful. Courteous and helpful in every request and made our stay wonderful. The College Hotel is a four-star boutique hotel in the center of Amsterdam. This historical building was built in the 19th century. The bed was very comfortable and the staff were amazing to deal with! 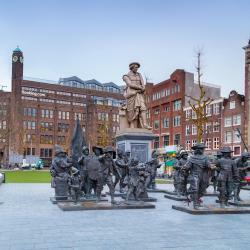 Park Hotel is set in the high-end district of Oud-Zuid right next to the Rijksmuseum, and 1640 feet from the Van Gogh museum and lively Leidse Square. It was our anniversary with my husband and our room was upgraded and decorated with flowers. The Quentin England is located opposite the Vondelpark, a 4-minute walk from the lively Leidseplein. The hotel has a 24-hour reception and a courtyard where you may smoke. True value for money.. super clean rooms and very comfortable bed. Apollo Museumhotel Amsterdam City Center is in the center of Amsterdam, where the fashionable PC Hooftstraat joins the charming Stadhouderskade. Guests can benefit from the 24-hour breakfast service. It’s a very high quality hotel, it’s close to the main museums and other amenities. The Owl Hotel is a monumental building located in Amsterdam's Museumquartier with its wide variety of museums. Good staff - helpful and friendly. Good shower/bath . Comfortable bed . Very close to Centre. 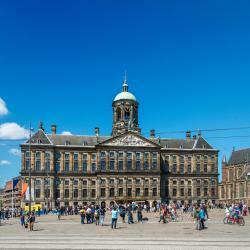 Hotels with great access to Museum Square! Hotel Verdi is just behind the Concert Hall in the Museum Quarter of Amsterdam, a 5-minute walk from the Van Gogh Museum. There is free Wi-Fi in the breakfast room. Friendly staff. Free breakfast. This environmental-friendly hotel is within a 5-minute walk from the Concert Building, Stedelijk Museum and the Van Gogh Museum. An amazing hotel close to The Museum Square. Very clean with modern design. Hotel Washington is in an early 20th-century house, 330 yards from Museumplein. It offers typical Amsterdam styled rooms and has a charming backyard garden. Bicycle rental is available. Great location and very comfortable accommodation. People are talking about Museum Square! Explore guest hotel reviews featuring "Museum Square"
The hostel is located across the street from the museum square, and right in front of a bus stop. Also, the canals were maybe a 10-15 minute walk. Oh, and it was cheap compared to other hostels. The common area was cool, good service at the bar. Reception was pretty helpful. Clean rooms. Great location, 5 minute walk from the museum square, and right next to the bus/metro stops. Staff was very helpful, rooms were comfortable and good location. Very quiet street close to transportation and museum square. The location is very convenient, 100m from the tram stop, near to bars, restaurants, museum square, coffee shops. The room size was really great for a 3-persoon room, with nice view The location close to Museum Square is great. At the hostel I met three girls from Amsterdam and we instantly clicked and decided to explore the night city together. We took the last tram to the center and ended up chatting with a group of other girls we met at Museumplein and drinking wine from plastic cups on the street. It was an unforgettbale night. The museum square has a handy good value supermarket where you can buy food to make your own picnic in the open air. That's good for the budget conscious traveller.